NEW SECURE ONLINE STORE COMING SOON!!! PRO SHOT® products have been featured on infomercials, featured in popular home catalog magazines for more than a decade, been available in popular online shopping networks, and are now available direct to you. Millions of bottles of PRO SHOT® have been sold already. 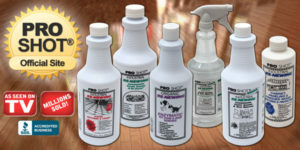 Try PRO SHOT® today and find out why some of our loyal customers have been using our great products for decades.